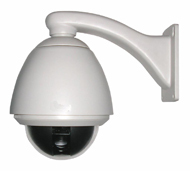 Horizon Safety Systems offers a complete range of state of the art CCTV systems tailored to suit our client’s individual requirements covering any industrial, commercial, institutional or residential project. Our experienced consultants and technicians will be pleased to assist in designing, installing and maintaining a system specifically tailored to your individual needs. 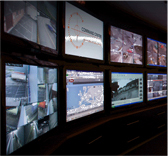 Professional monitoring solutions are available ranging from high quality digital multi-channel recorders to fully functional off site interactive 24/7 monitoring by our specialist monitoring partner. Horizon safety consultants can fully advise you what options would suit your project best. Horizon Safety offers business and domestic clients with a reliable maintenance and repair service. Regular maintenance will allow you to protect your investment and more importantly keep YOU protected. In order to ensure that your security system remains operational and effective at all times it is essential that you have your system maintained and serviced on a regular basis; discuss your particular requirements with one of our experts..
We also can look after system upgrades. Our expert technicians and consultants will be able to advise and guide you and offer solutions that fit your requirements and budget.